It’s not just a race. It’s a magical experience. Our swag is bound to make your jingle tingle with a Santa Hat, Beard, Shirt, Finisher Medal, and Candy Cane Socks! 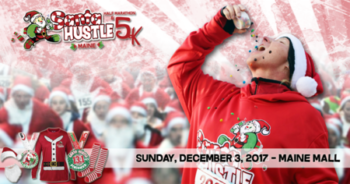 Come join the Santa Hustle® magic on Sunday, December 3, 2017 at The Maine Mall. Half Marathon start: 7 a.m. Kids 1-Mile Run: 6:30 a.m. 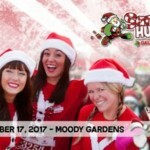 Kids 100-Yard Run: 6:45 a.m.
Race Charity: The 2017 Santa Hustle® Maine Charity is Easter Seals.